If you want a perfect escape from the stress of everyday life, the only thing standing between you and the experience is our catamaran charter in Croatia. We have hundreds of catamaran charter Croatia available for various destinations such as the Dubrovnik area, Split area, Zadar and Kornati area or Istria. Your sailing around Croatia should be however you wish; as luxurious or fun-filled as you desire, and our yacht charter are perfect to turn your dreams into reality.  We take the worry off of you and let you focus solely on the exciting Croatia boat trips to come. Simply tell us your desired sailing holidays destination, dates, and the number of guests you’d like to accommodate, and let us pick the best Croatia charter for you. We will provide you with a wide range of yacht rentals so that you can select the one that meets your expectations best. If you want the experience, we have the perfect sailing bareboat catamarans for you at the lowest price. Select best ones like Bali 4.1, Lagoon 39, Lagoon 40 or Nautitech Open 40 and join the most adventurous yacht fleet for your next bareboat vacation. There is never a perfect time to enjoy sunsets and events such as birthdays, weddings, anniversaries, holidays, or just a day responding to the call of the sea with our professional skippered catamaran charter Croatia. Explore the beautiful Croatian islands on your yacht with a private crew, leaving you free to swim, snorkel or just soak in the sun. Our skippers are professional and experienced with yacht charter. We have the best charter boats like the Lagoon 52, Nautitech 47 Power, Sunreef 50 or Lagoon Seventy 7. You’re only after a temporary but long-lasting experience. The most important thing is to enjoy the adventure—to be happy—it’s all that matters. You can buy a sailing boat yourself – but why would you want to? If you want to Sail Croatia, and you want to do it in style, you can never go wrong with a catamaran charter. They offer more space, comfort and stability than a regular sailing boat. Catamaran Croatia Charter is a bench of Europe Yachts Group created to make your Croatia boat trips more engaging, vivid and meaningful. Our professional charter company is based in split, Croatia and offers personalized luxury yacht charter in Croatia since 1998. We influence vacations that stand out in their originality and attention to detail. We have access to many incredible offers, vacation packages, last minute cruise opportunities, and more. Our skippers are trained destination experts who know how to give the best cruising experience. Our booking managers will be at your disposal and will attend to each and every customer with meticulous care to help you find the best suited catamaran charter in Croatia. If you want to rent a catamaran in Croatia for relaxing, sailing or corporate team building, sightseeing, visiting national parks or just relaxing on the sun, our group is here to serve you. Catamarans are in high demand as yacht charters in Split, Croatia, as the country provides perfect sailing conditions for catamarans. 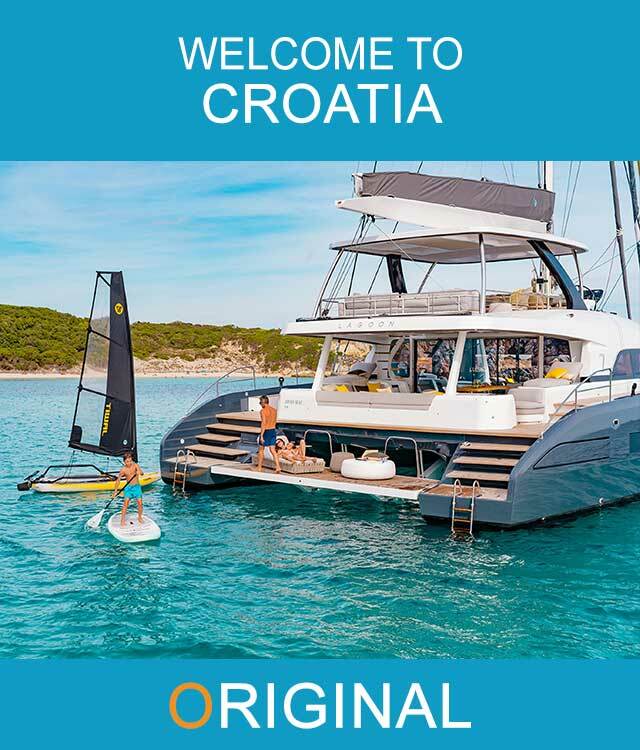 Catamaran Croatia Charter has more than 200 Catamarans available for charter in Croatia, offering well-known models and manufacturers such as Nautitech, Lagoon, Sunreef and Astrea. Catamaran charter are able to move through the water with great speed. Their big size makes them ideal sailing boats to travel and party, as they can accommodate up to 15 people. Moreover, their simple designs make them ideal for fishing, as they can easily travel in shallow waters. If you are looking for more adventure, without giving up on comfort and space, catamaran charter in Split, Croatia is way to go. Planning a vacation in Croatia on a catamaran? We serve various destinations such as the Dubrovnik area, Split area, Zadar and Kornati area or Istria. We have firm commitment to customer service excellence. Diverse fleet of manufacturers and models with charters to suits every occasion. Let the fun begin! Select your charter yacht! You can simply contact us directly or request a quote on the boat models available for you. No matter what you choose to do in Croatia, the only way to truly capture the unique spirit of this place is by cruising around the Croatian islands. Here’s an idea: Dubrovnik can be the starting point of your boating adventure on the Croatian island! With Dubrovnik, you need to go and visit Split. 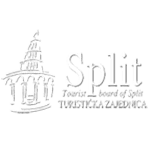 Split is a city made around the Diocletian palace, 1700-year-old Roman palace that is still intact. With his charm and amazing people, you will be in love in the culture, way of life and sea all around the town. Yacht charter Croatia provide many affordable Croatia Boat Rental destinations for your cruising adventure. We focus on Yacht Charters in Split, Croatia because it’s what most of our customers are looking for. Our robust pricing covers your skipper and up to 13 Guests on most vessels. Check out our online special prices for the perfect Croatia Boat Rental. Our offer of over 200 charter yachts in Croatia include rentals of Sailing Yachts throughout the Adriatic. We can offer you yachts along the Croatian (Adriatic) coast from Istria, Kvarner up to Dalmatia in the cities Biograd, Dubrovnik, Island of Solta, Kastela, Krk/Punat, Makarska, Murter, Primosten, Pula, Seget Donji, Sibenik, Solta, Split, Sukosan, Trogir, Zadar bareboat or crewed and visit many beautiful Croatian islands. Serving more than 3,500 lowly guests to our great satisfaction, Catamaran Charter Croatia has a 5 Star rating of our clients and has a status of recommended catamaran company in Croatia. The satisfied clients have provided us word-of-mouth marketing to the company among their family, friends business colleges all over the world and many repeat customers as well are coming every year. The company as member of Europe Yachts Charter stands for high quality service with large portfolio of catamarans for rent as a top charter service in the world. Why book catamarans at ‘Catamaran-Croatia-Charter.com’? Here at Catamaran Croatia Charter Split, Croatia, we believe that every customer deserves to live a quality life. Therefore, we make it our ultimate goal to ensure exceptional quality rental service. This philosophy – one that always puts the customer first – is the foundation on which Catamaran Croatia Charter is built. Free reservations: Reservations through Catamaran-Croatia-Charter.com of a yacht for charter are free of charge, with no extra costs. Lowest prices: Catamaran-Croatia-Charter.com guarantees 100% for all our client the lowest SPECIAL prices for catamaran rental in Croatia. Secure reservations: We are is 100% user friendly and secure. Users’ personal data is only going on our contract. All our clients have GDPR fully protection. More destinations: We have yachts in all larger city’s in Croatia, and every year expanding. More boats to rent: With more than 200 yachts for charter on the website and 1.982 yachts in the Europe yachts Charter group like sailboats, motorboats, catamarans and gulets to luxury yachts we can offer you all you need. Rest assured, no matter your destination, we will help you shape a life-changing experience. Our yacht charter team of experts will help you in every way you need, they know every corner, island or marinas. We have partners on every island so we can also offer you discounts in restaurants and party locations. We can also provide you reservations in the marinas, help you purchase all the food and beverage before the charter and also in the time of charter so you can enjoy a quality sailing holiday. Based out of split, Croatia, our location is in close reach to some of the most desirable destinations within the Adriatic region, including the captivating areas Istria to Kvarner, down to Zadar, Šibenik, Split, Pula and Dubrovnik. That are the main areas in Croatia and around that areas we offer our catamarans. If you need a yacht in other marina, we can bring it there like marina Baška Voda, marina Kornati, marina Šangulin, marina Kaštela, Punat, yachting Sport Agana, ACI Split, Dubrovnik marina, ACI Opatija, Marina Hramina, Bunarina, Veruda, marina Frapa, Zenta marina Split, marina Trogir and other. If you don’t know how to begin planning or you feel uncertain, no need to fret! We’ll help you explore your options, and together, we’ll create the ideal boat trip just for you. Thrill to the “whoosh!” of our catamaran charter. Inside you’ll find the comfort you need. Outside is a world of beauty in Split, Croatia. With creativity, taste and flair, we customize our catamaran with up to 4 luxury cabins for maximum comfort. The catamaran is much wider than a sailing boat that that’s why they are more stable than other yachts but also they are much more comfortable because of larger cabins and bathroom, you can feel like a king in his castle on the sea! Since catamarans are more stable in the water, there are less chances of tipping over. They don’t usually sink when they take on water because they are built with wood, which provides them with natural buoyancy. Additionally, catamarans have several watertight compartments which will keep the boat afloat if any area is punctured. With our crewed catamarans charter Croatia, you’d literarily nothing – and that is the idea! You can laze on the beach, read a book, party, and watch the sunset over some of the other islands. If you are feeling more energetic, you can take a swim. Finding the best catamaran charter Croatia for your sailing holiday can be overwhelming given the choices available. If you would like to rent a yacht charter for a day or a full week you landed at the right place! So How Are You Feeling About This? If you like exploring and learning interesting facts, renting a yacht and sailing the seas of Croatia is just the thing for you. It gives you an opportunity to discover something new and have an amazing adventure on a yacht of your choice. Sailing on a Catamaran in Croatia is a great way to discover new destinations and places. Charter a Catamaran in Croatia and find beautiful beaches, crystal clear water and hospitable people. Reserve your vacation on time! If you need plenty of space, stability and speed, for your perfect sea holiday, your choice is without doubt charter of catamaran. Although the principles of sailing are the same for both yachts and multihull yachts are more stable and also faster. You can also check what to take on a catamaran.